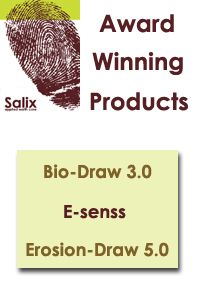 What is Erosion Draw 5.0? 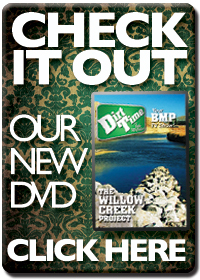 Erosion Draw is a manual on CD for all of your Best Management Practice (BMP) needs. of BMPs for your site. 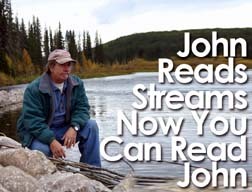 Use it for construction sites, highway applications, private homes, and much more! Erosion Draw provides information intended to make erosion and sediment control planning easier and more effective. Proper erosion and sediment control planning is the most cost-effective way to reduce water quality impacts from construction or other land disturbance activities. Erosion Draw provides guidance for selecting and implementing Best Management Practices (BMPs) for reducing erosion and sediment runoff from construction sites. Erosion Draw endeavors to provide the tools (BMPs) that will, when combined with practical experience and an understanding of erosional processes and utilizing the vast array of erosion control products on the market today, allow the user to develop highly effective erosion and sediment control plans. Erosion Draw has 43 "tried and true" BMPs and 53 detailed typical drawings. Erosion Draw 5.0 on CD also provides several hundred color photos of BMPs, both in techniques and in a photo gallery, and the Manufacturer Directory is filled with erosion control product information, and has direct access to some manufacturer's websites. The designer and specifier will now have access to product information, specifications, and the results of various tests and trials so he/she can better choose products that meet the specific site conditions. With Erosion Draw's CD Manual of Best Management Practices "CAD Ready" Typical Drawings. Erosion Draw also has over 125 color photos demonstrating proper applications of erosion control BMPs. With Erosion Draw... a collection of CAD drawing files of key design features such as ENERGY DISSIPATOR, GRASS-LINED CHANNELS, RIPRAP, STREAMBANK STABILIZATION, and GABIONS. The typical drawings include dimensions, sections, and construction details which are ready (or easily modified) to insert into your site design plan. Erosion Draw is currently being used and recommended by Agencies and DOT's from across the country. Federal, State, and Local Agencies, including Corps of Engineers, BLM, U.S. Navy, NRCS, Fish & Game, Water Quality Districts, Public Works, and various Departments of Transportation! Civil Engineers, Landscape Architects, CPESC's, Environmental Engineers and many other professionals in the private sector already use Erosion Draw to enhance their planning capabilities in this increasingly critical specialty. Click here to see what satisfied professionals say about Erosion Draw.